For you and me, the word “summer” probably brings images of family vacations at the beach or the lake house to mind. But for refugees like Omar, summer is one of the most dangerous times of the year. 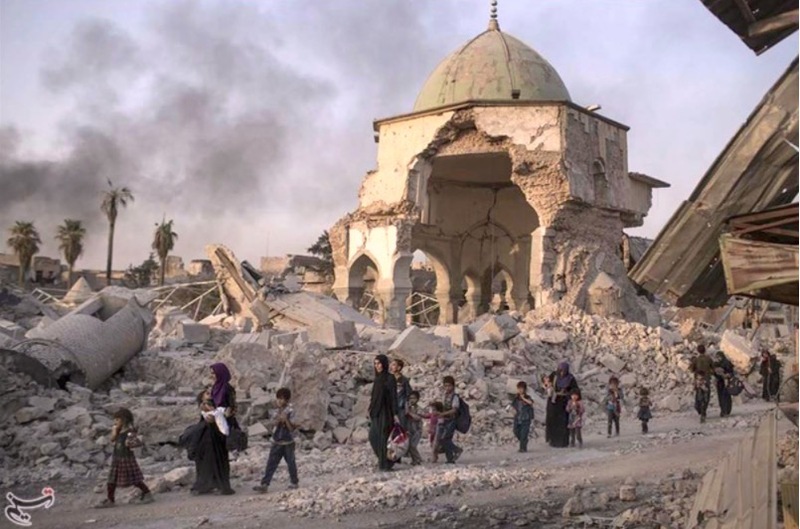 In fact, as Omar described the food crisis his family has been suffering through since Islamic State of Iraq and Syria took over their home in Mosul, Iraq, he couldn’t hold back his tears. I’ve changed Omar’s name to protect him. He’s already been through so much, like so many of his family members, friends, and fellow citizens who have fled war and terror. The food is gone. Acres and acres of farmland have been destroyed. Markets are reduced to rubble. Can you believe his family had just one loaf of bread for 20 days? And Omar isn’t alone. Nothing to eat — that’s the number one problem refugees around the world are facing this summer. Entire families are starving, and it’s not just happening in Iraq. In places like South Sudan and Syria, war has caused a widespread food crisis, putting millions of people at risk of starvation. As if this isn’t enough, refugees also endure the blistering desert heat with little to no shelter. You know how exhausting it can be to spend all day out in the sun. Imagine sitting in the summer heat after you haven’t eaten more than a few scraps of bread in days. It’s agony! It breaks my heart to see refugees like Omar suffer in this cruel way. Watching their children cry from hunger pains and heat exhaustion could be what steals their last hope. I know this is a well-worn argument, but nevertheless it’s still true: so many of the things we take for granted — such as a glass of water or a meal — can mean the difference between life and death for a refugee. Now that they are facing the hottest months of summer, it’s even more urgent that they receive critical supplies such as emergency food, clean water, and medicine. Whenever people ask me how we can help refugees, I always tell them the most important thing we can do is pray for them. No matter where we are, prayer connects us immediately to those we are praying for. Prayer crosses borders that sometimes we can’t cross in person. If you’re interested in getting more involved, you can help provide emergency supplies through our humanitarian organization, World Help. We have been working with local partners to send food, clean water and medical essentials for refugees since this crisis began, and we will be there until it’s over. As the end of summer nears, let’s not forget these families who desperately need our help. Vernon Brewer is the founder and CEO of World Help, a Christian humanitarian organization serving the physical and spiritual needs of people in impoverished communities around the world. Follow him @vernonbrewer.